With uncertainty running rife as Brexit looms overhead, UK businesses are looking for any way to bolster themselves against potential losses. These ideas range from the sensible to the absurd, but what about falling back on existing systems already in place to account for quality? Such is the plan for the famed Red Tractor often seen gracing the packaging of British produce. 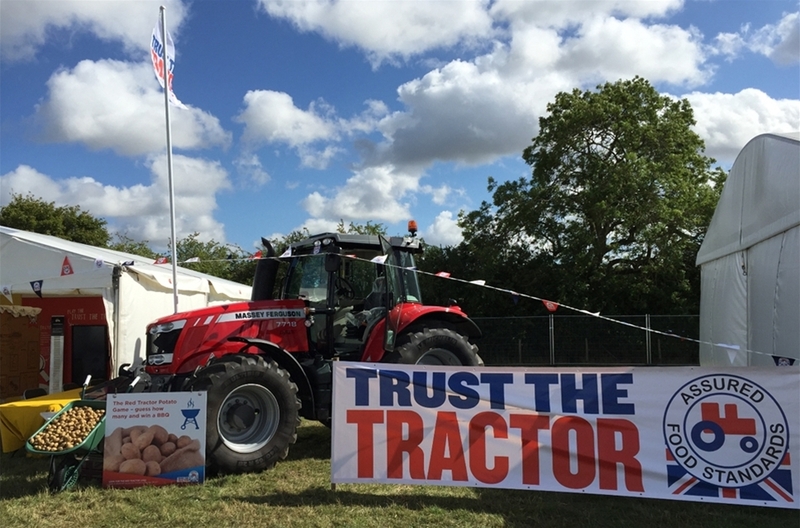 This is according to Jim Moseley, Chairman of Red Tractor coordinator Assured Food Standards, who suggests that the British food industry can “hang its hat” on the reputation of the Red Tractor mark, already widely recognised as a sign of British provenance and quality. Moseley’s ideas for the future of the Red Tractor mark were revealed at the NFU Conference last week, where he told his audience that the Red Tractor mark could “behave more like a brand” and become a unique selling point for British food and drink products. “I believe that we now have the opportunity to behave more like a brand and something that we can really shout about both at home and abroad,” he said. “Markets are opening up and we should take advantage of that. Take the Asia-Pacific region as an example; they love the quality, safety and traceability that British assured products deliver. With the mark already appearing on more than £14billion worth of food and drink products in the UK, with more than 60,000 assured farm businesses registered to the scheme, an expansion on the scale of which would be necessary for Moseley ideas to work could be on the cards, but it would take a gesture of solidarity among UK manufacturers before it can become the branding powerhouse that Moseley hopes.